I am a sucker for face stuff - I love to try creams and washes and anything that feels good. So for my "me" time? I gave myself a mini spa experience. 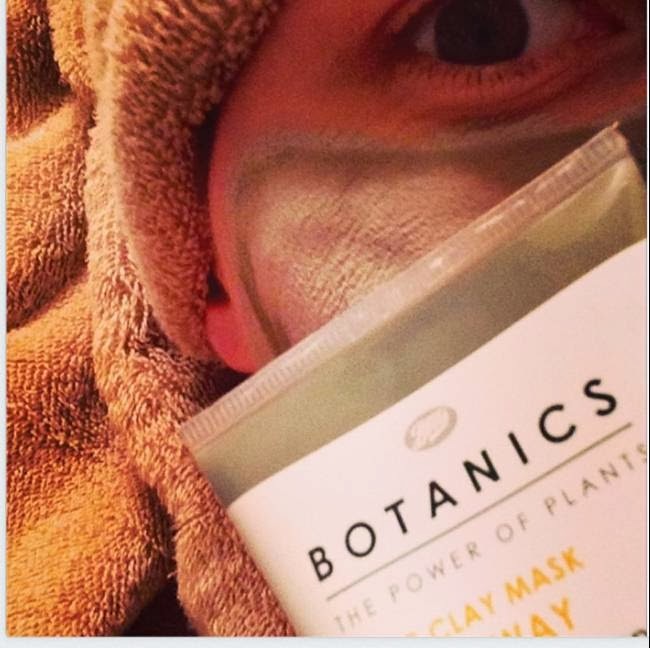 I painted my nails and wore the Botanics clay mask. It starts as more of a liquid (shake well! ), and it goes on very smoothly. It dries quickly and leaves skin soft when you wash it off. It is hypo-allergenic, which is always important to me. It also features 10 plant extracts, including Willowbark. It only looks a little funny while you are waiting for it to dry... hee hee. The face mask sample was received free of charge via the J'adore Vox Box. All opinions are 100% mine. I was nto required to write a review.